Thanks to the kind generosity of Jamie Fenton, the original ROM images for Robby Roto have been made available for free, non-commercial use. 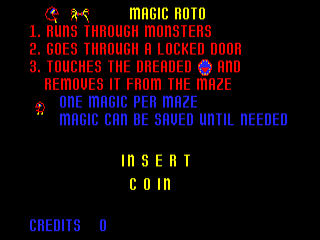 Robby Roto is a game that Bally/Midway originally released on its Astrocade-based hardware back in 1981. 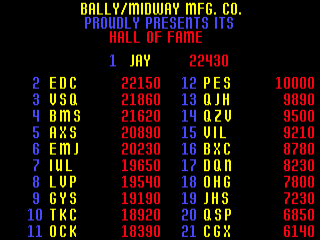 Other games that ran on this hardware include Gorf, Wizard of Wor, and Professor Pac-Man. 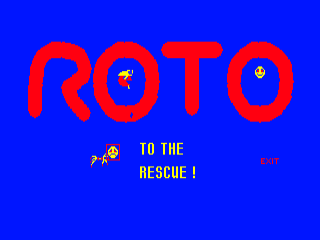 The author of Robby Roto is Jamie Fenton, who acquired the rights to the game after it did not do well in the marketplace. Approximately 2,000 units were produced.